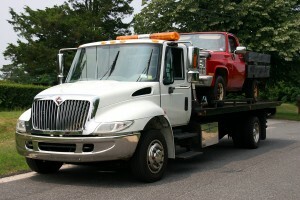 Tow Truck Insurance Grand Prairie Tx – Great Coverage & Service From A Name You Can Trust! At Pathway Insurance, we know we can find you excellent rates and coverage on Tow Truck Insurance in Grand Prairie Tx and the surrounding areas. But in addition to great prices and coverage, Pathway also provides top-notch customer service. It’s hard to find good customer service today but you can count on excellent customer service from Pathway Insurance. To speak with a licensed agent call us toll free at 800-998-0662. We are open Mon – Fri from 9:00 AM to 5:30 PM to complete new quotes, answer questions, accept payments, service policies, and much more. Tow Truck Insurance Texas – Claims Scenario Part Six. We return now to the latest misfortune to befall Billy Sandwichshort. Recall that in our previous segment Billy had to resort to storing his customers’ vehicles on his property – often overnight – because he sometimes has more business than he can handle in a single day. One night a group of miscreants hopped the fence surrounding Billy’s property and vandalized the parked cars that were awaiting repairs. Billy’s only recourse was to file an insurance claim for the damage. About fourteen days later, Billy immediately recognizes the response letter from his insurance company (he has become quite used to them). The letter informs him that the damage has been estimated at 6,400 dollars, and that the insurance company will not be reimbursing any of it. Billy’s heart has become so cold and jaded from disappointment that he doesn’t know what to feel anymore. Still, he reads on. The insurance company’s letter goes on to inform him that in order for his customers’ property to be covered while under Billy’s care he would need to purchase a type of coverage called Storage Location Insurance*. Texas Storage Location Insurance is highly recommended for any business who stores its customers’ property on location for any period of time. If Billy had read his own coverage carefully he may have understood that it did not extend to others’ property. *Outside of Texas and Virginia, Storage Location Insurance is called Garagekeepers Insurance. Tow Truck Insurance Grand Prairie Tx – Don’t Stay In The Dark On Your Insurance! Don’t be like Billy. Call Pathway Insurance now at 800-998-0662 for Grand Prairie Tx Tow Truck Insurance, Grand Prairie Tx Storage Location Insurance, and for answers to tough insurance questions.